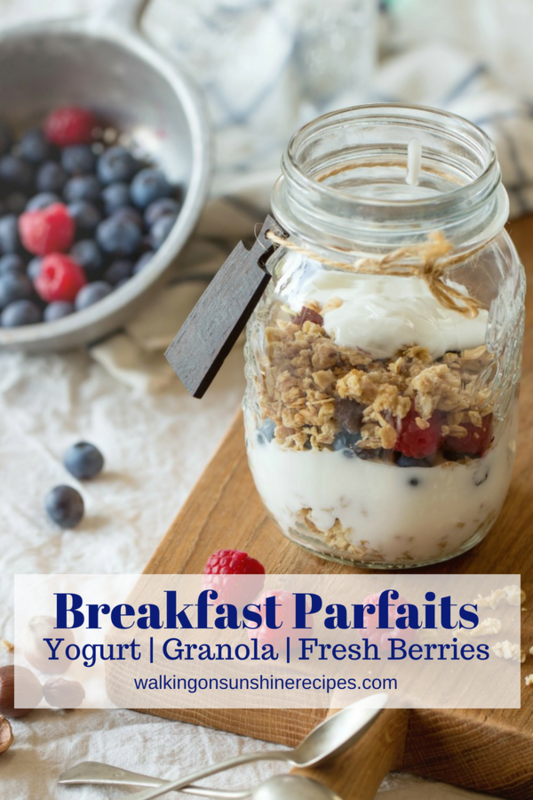 Breakfast Parfaits with fruit, yogurt and granola are the perfect way to start your day! 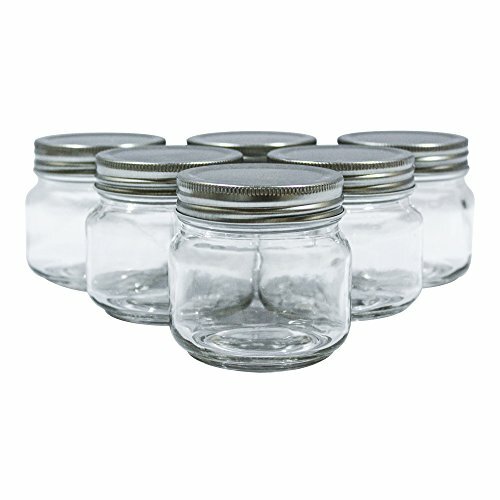 Make them in mason jars to they’re easy to take along with you to work. Let’s have something healthy for breakfast today! 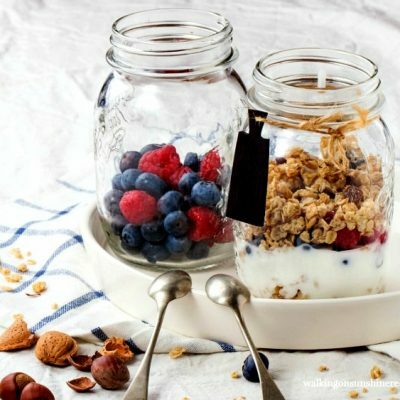 If you need a fast breakfast idea, why not try these breakfast parfaits that are filled with yummy yogurt, fresh fruit and nutty granola. 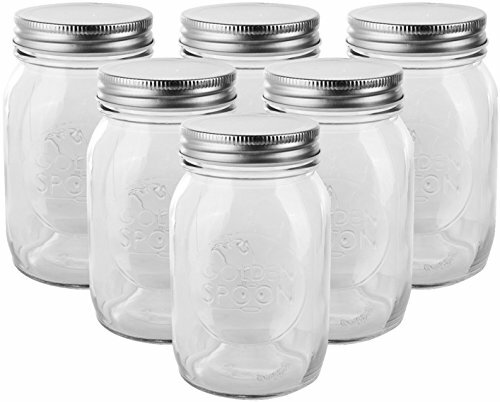 They’re portable too as you make them in mason jars that can easily be taken with you as you leave the house for school or work. 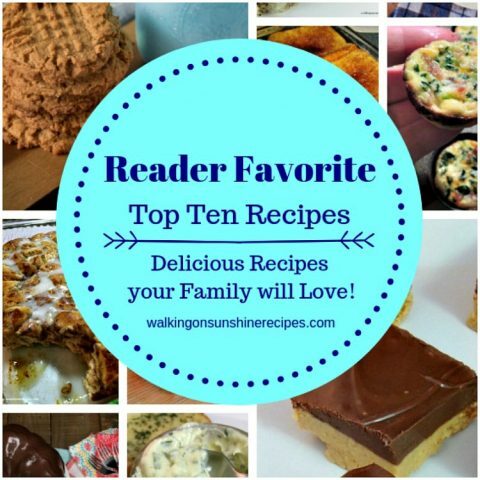 They’re a healthy and easy way to get breakfast together for those really busy mornings. You might even like to make these for after school snacks or even dessert. Fruit. 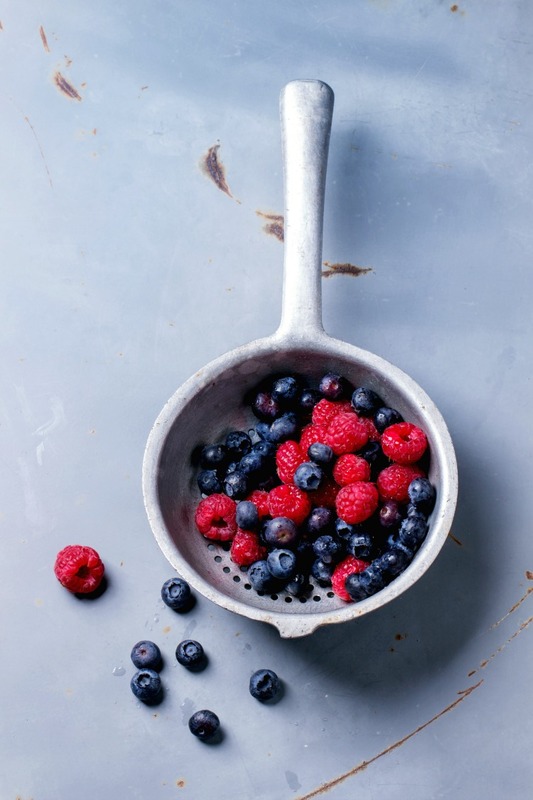 I love blueberries and raspberries. Avoid bananas unless you’re going to eat the breakfast parfait right away. Bananas need to be eaten fresh right after slicing. 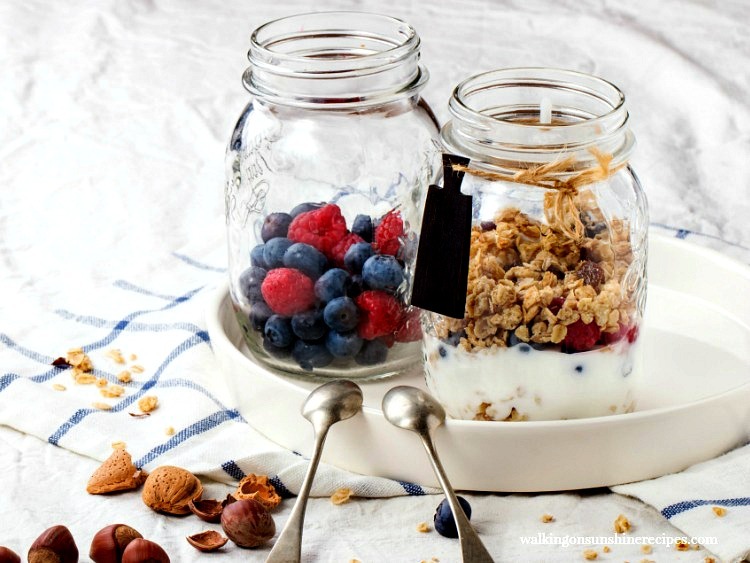 Granola is a must…you need that crunch on top of the yogurt! 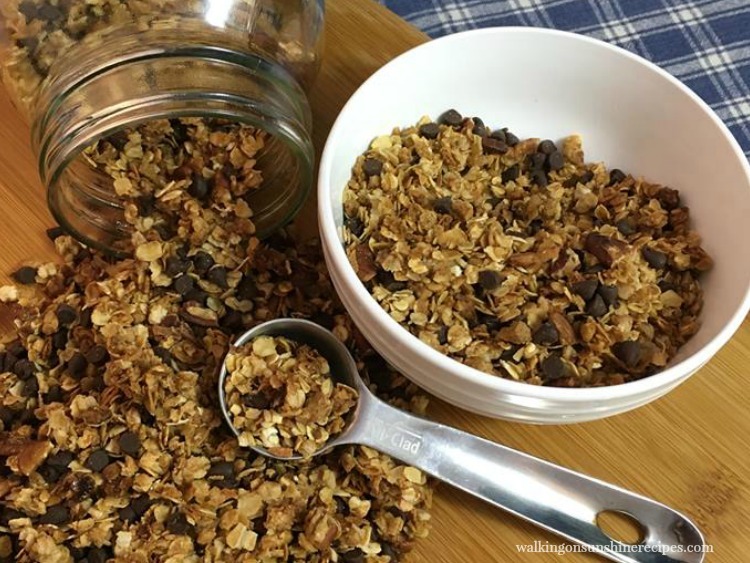 You can use store bought granola or you can try my recipe for Coconut Pecan Chocolate Chip Granola. 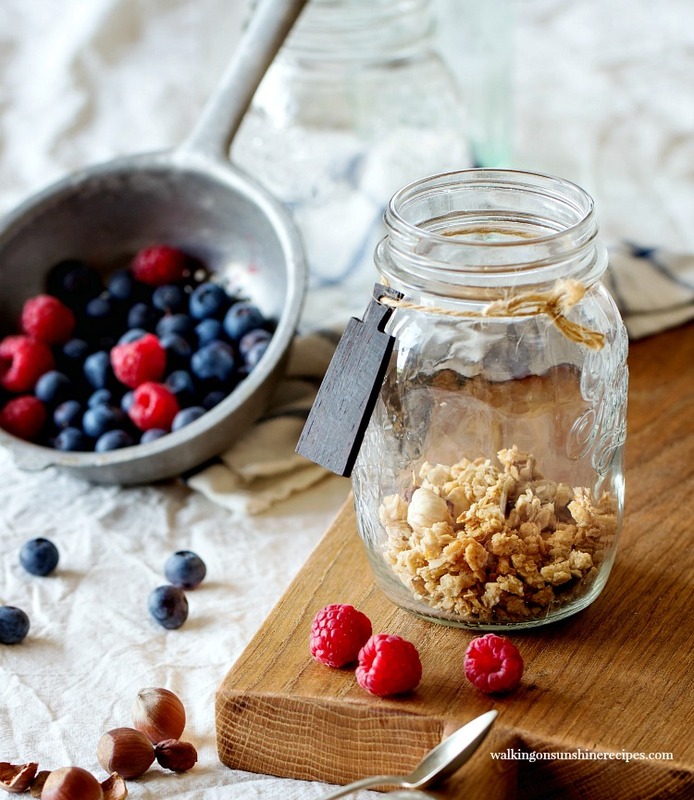 Making granola is really easy and the taste is really incredible! It’s fun to layer everything inside a mason jar. If you’re going to send these with your kids to school, you might want to use a plastic mason jar. 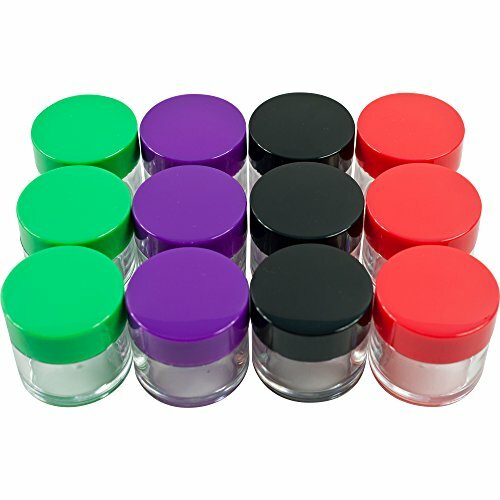 Make sure you check out my Shopping List at the bottom of this post for a few suggestions on different types of mason jars available now. There’s a quite a few to choose from! Choose your favorite flavor of yogurt and fruit. I love to use vanilla Greek yogurt, but another favorite is coconut vanilla yogurt. Yummy! Make sure the fruit is washed and dried before adding it to the mason jar so it doesn’t cause the yogurt to get watery. Mason jars work great, but if you’re worried about sending a mason jar to school use a plastic container – see Shopping List below for ideas! You can prepare these the night before, but don’t add the granola. Package the granola separately so it doesn’t get soggy. 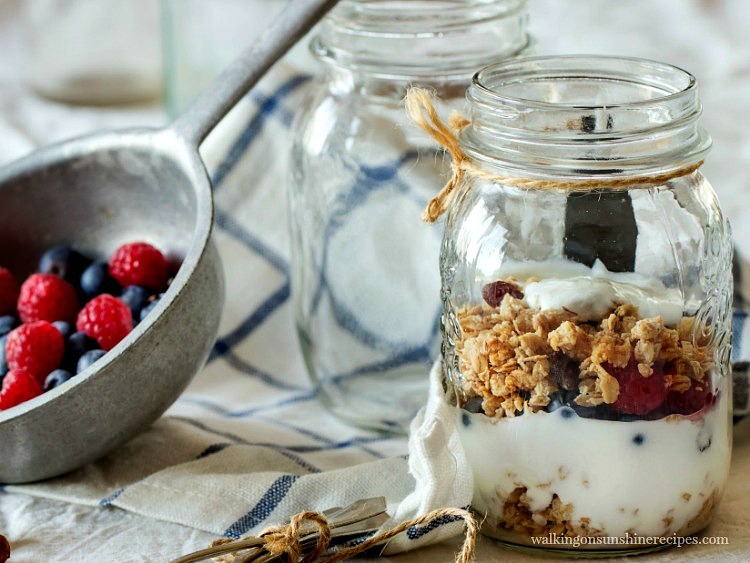 Breakfast Parfaits with fruit, yogurt and granola are the perfect way to start your day! Make them in mason jars to they're easy to take along with you to work. Let's have something healthy for breakfast today! Spoon 1/4 cup of the vanilla yogurt into the bottom of a mason jar. Top with a few raspberries, blueberries and then granola. 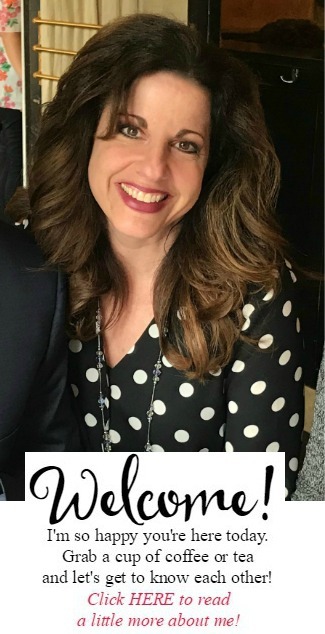 Repeat layers until mason jar is almost full. 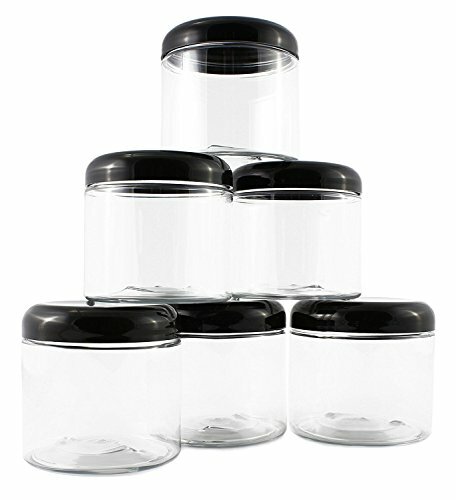 Follow the same steps for the other 3 mason jars.